Your bedroom is your private sanctuary – a relaxing respite from the hecticness of life and a place to rest your head; somewhere that inspires a night full of sweet dreams. 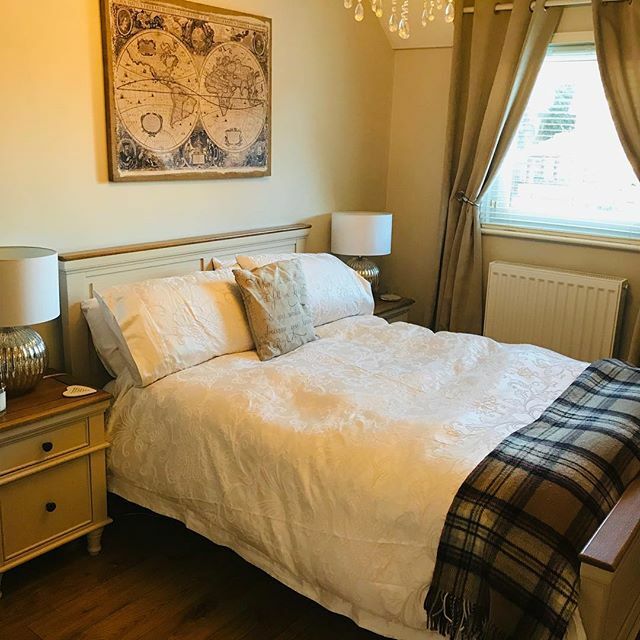 Whether you opt for a bedroom design that exudes modern elegance or favours traditional styling, you’ll want to create a calm and cosy space optimised for a comfortable unwind. 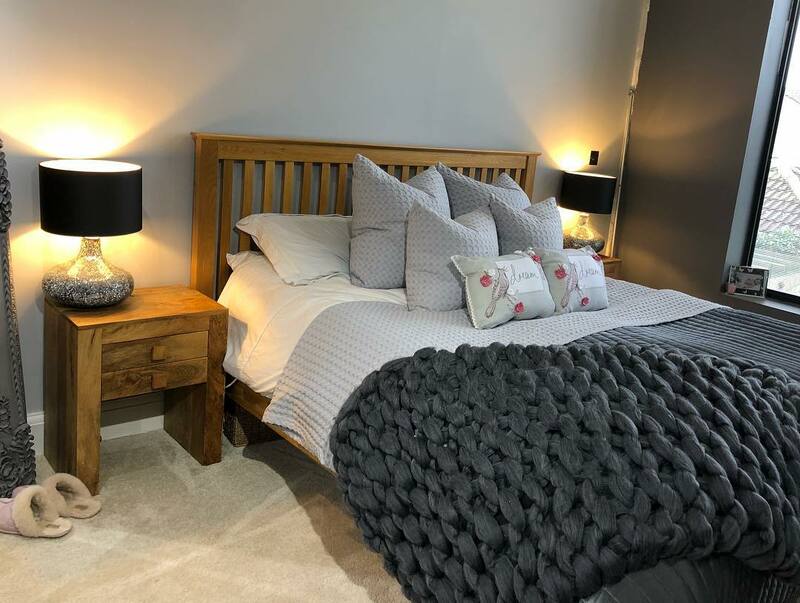 Take your bedroom from dreary to delightful with inspiration from our customers who show how you can incorporate Oak Furnitureland pieces in your home while creating a warm and welcoming sleep zone. 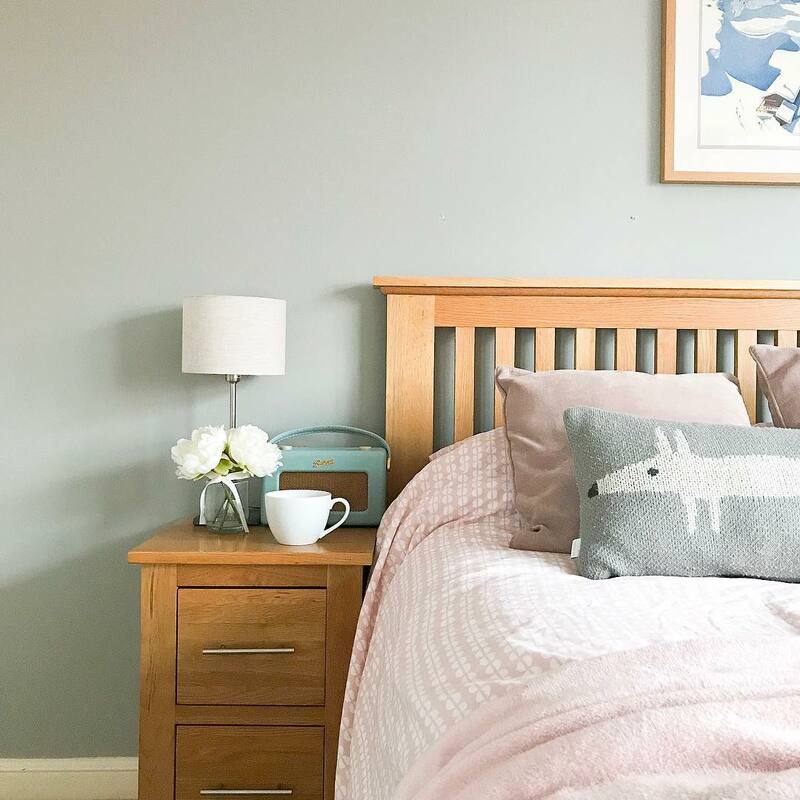 Laura, @dayinthelifeof_laura embraces blush pink hues in her bedroom, using it as a soft accent colour on her bed sheets to create a subtle contrast to the Manor House Gray wall colour. 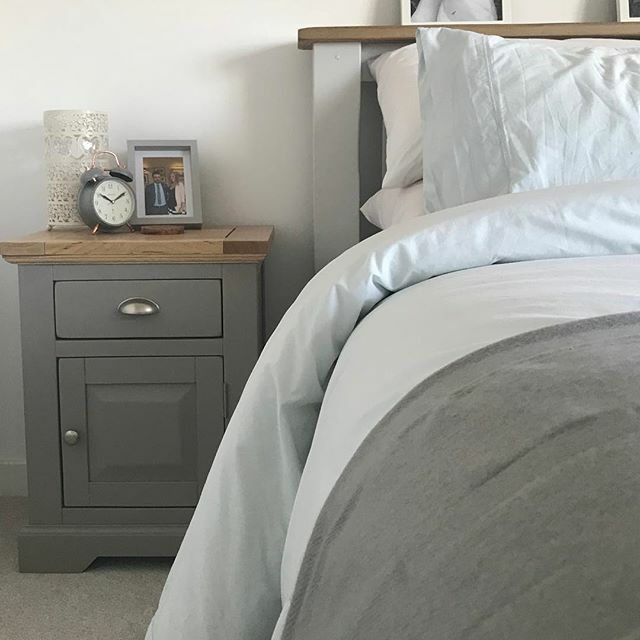 These colours are beautifully pulled together by the warm honey tones of our Bevel King-Size Bed and Rivermead Bedside Table that add a contemporary edge to traditional solid oak furniture. We especially love Laura’s retro-style radio, nested on her bedside – what a wonderful space to wake up in! 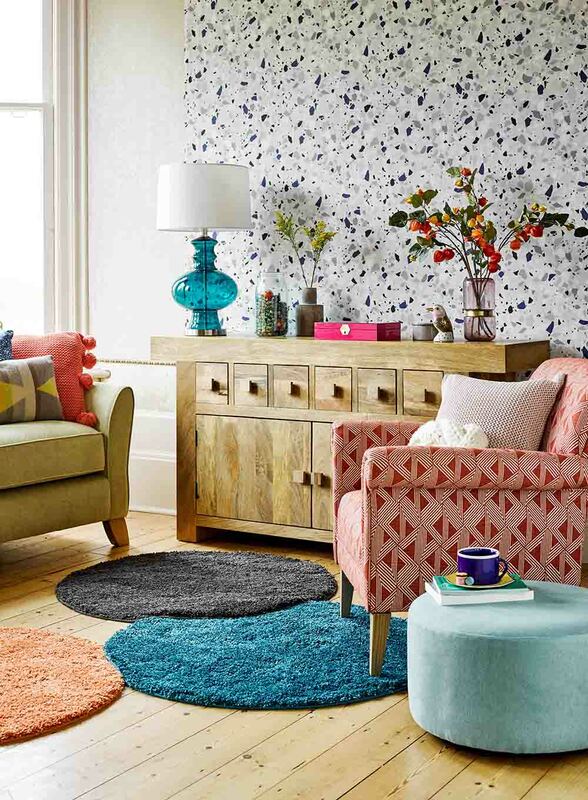 Want to create a tranquil space using neutral hues? 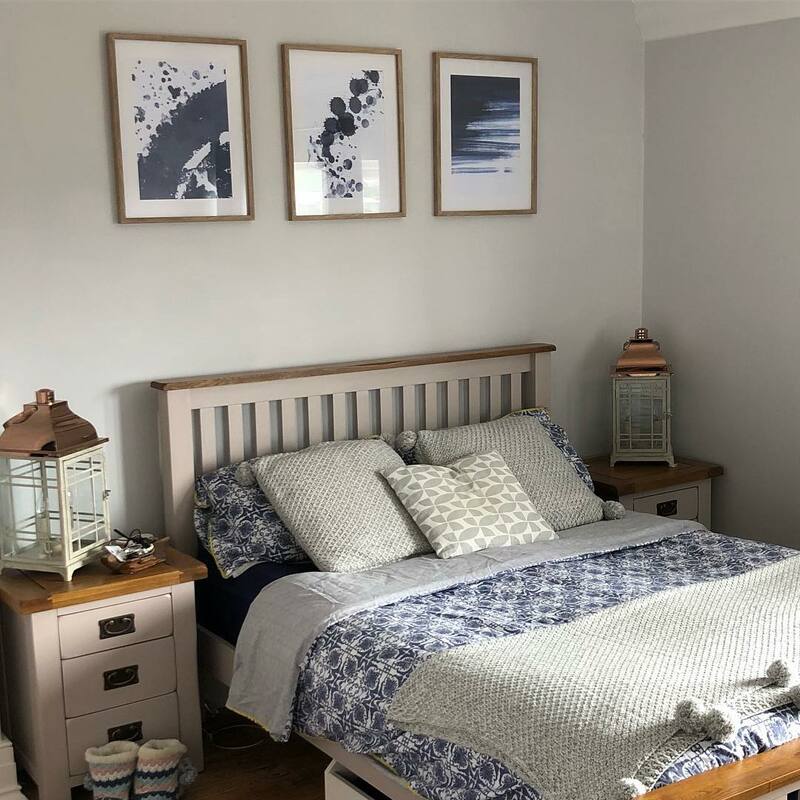 Take inspiration from Rebecca, @magnoliacottagekent, who has created a calm corner with a muted colour palette in her cottage-inspired bedroom. 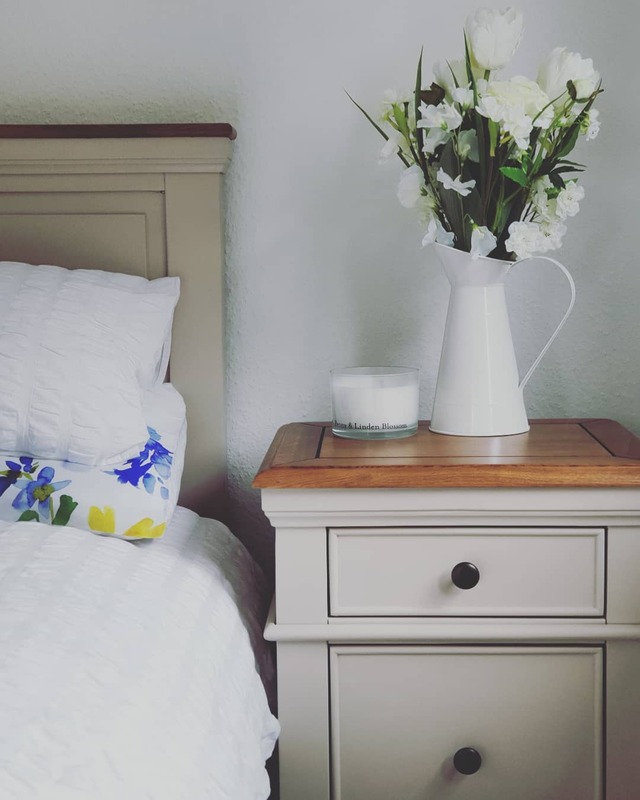 Rebecca has combined the Shay bed and matching bedside table with neutral accessories, textured white linens and a subtle hint of colour with a delicate floral print. 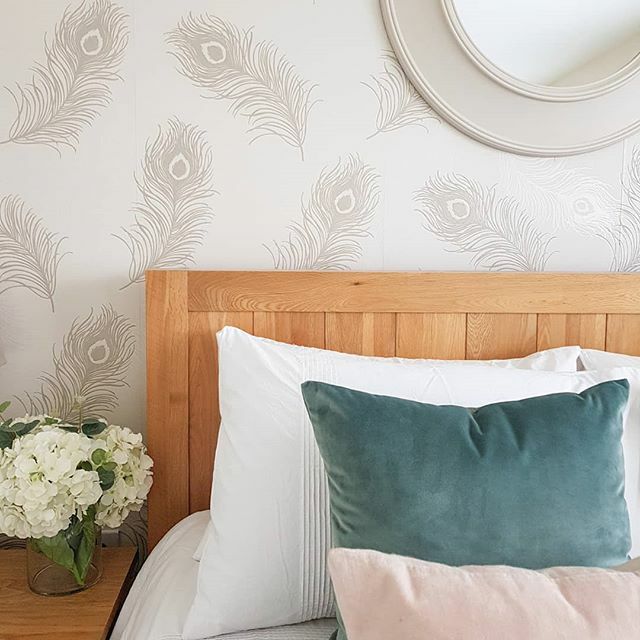 Incorporating silver into your interiors can create a sophisticated and glamorous effect and works perfectly in a bedroom setting, as showcased by @velvet.living. Silver may be perceived as a cold colour, but adding warm textures with blankets and throws will help soften the look. To balance out the grey tints, add pieces of classic oak furniture, such as our Original Rustic Bedside Tables, to create an extra dimension. 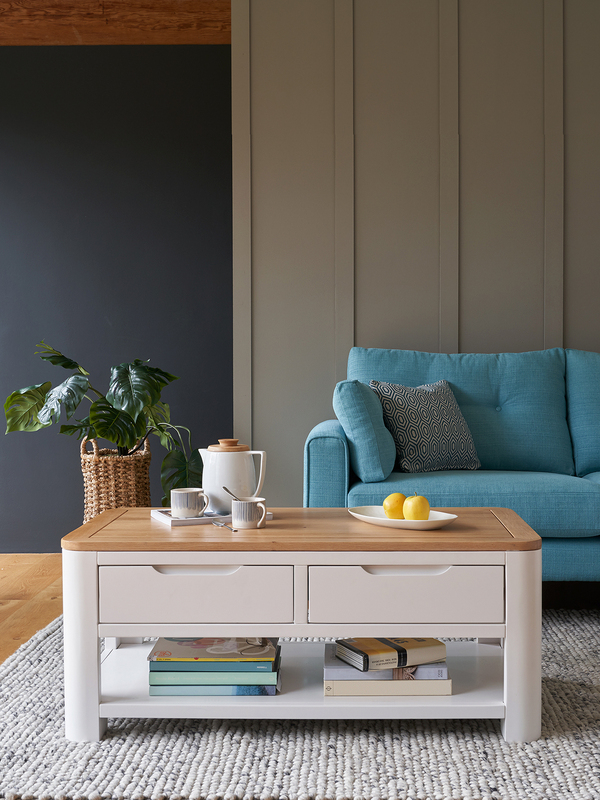 Another way to embrace grey or silver is to pick out this colour in your furniture. 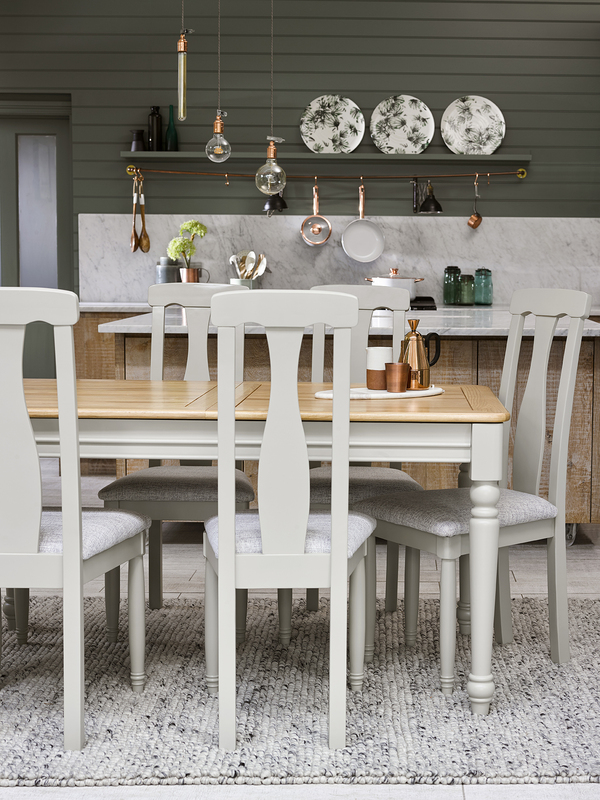 @ourroseberryhome_ has chosen the silvery grey toned St Ives range to create the foundation of this minimalist colour palette. 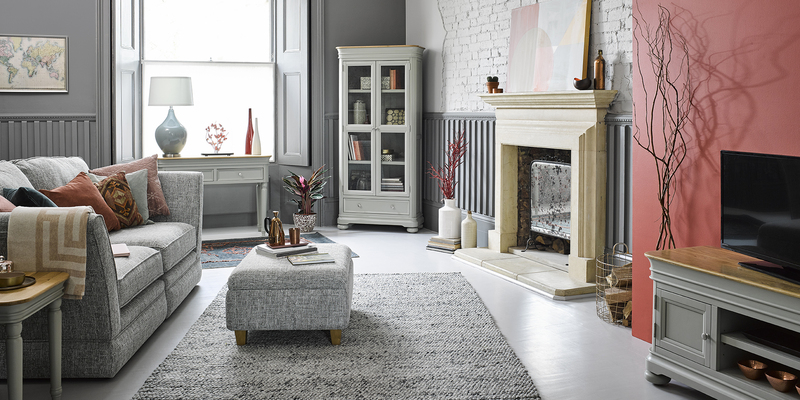 It’s the perfect base colour to allow you to layer whites, soft blues and greys throughout the room. 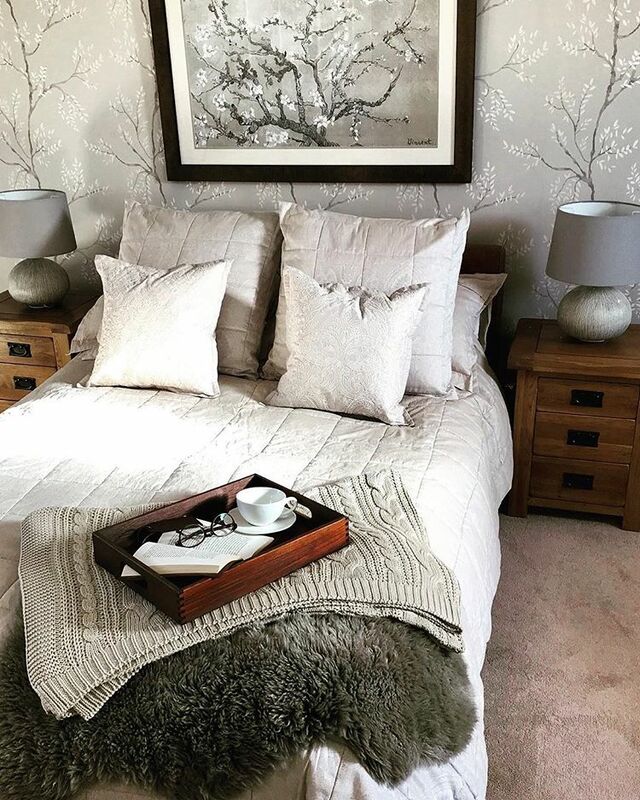 Combining contrasting grey shades, rich wood furniture and waffle and chunky knits work perfectly in @tomandkirstys1930srenovation’s bedroom. The couple has paired their elegant Original Rustic Bed with our solid cube designed Mantis Light Bedside Tables, and it looks fantastic. Finishing off the look with a chunky knit throw, this truly is a dream bedroom! 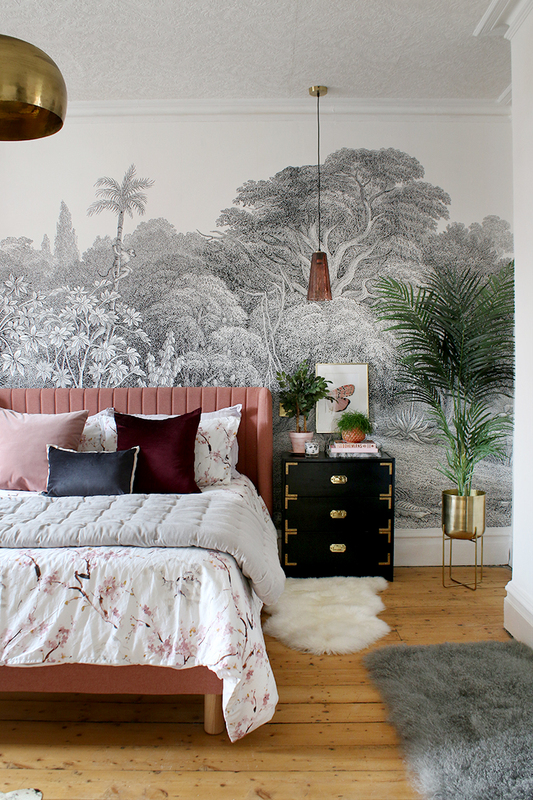 How inviting does @homesweethome_ig’s bedroom look? Replacing cool blue light bulbs with soft warm yellow lighting can reinvent your entire room as it forms a much warmer ambience. Thick duvets and wintery throws will also contribute to this atmosphere, as will almond-toned furniture, such as from our Shay collection. A classic way to create cohesion in your bedroom is to hang up some unique wall art and match it to your bedroom accessories, as demonstrated by @abbie_and_rattie_prints. The splashes of deep blue in the artwork have been closely matched to the colours and print style of the duvet cover. 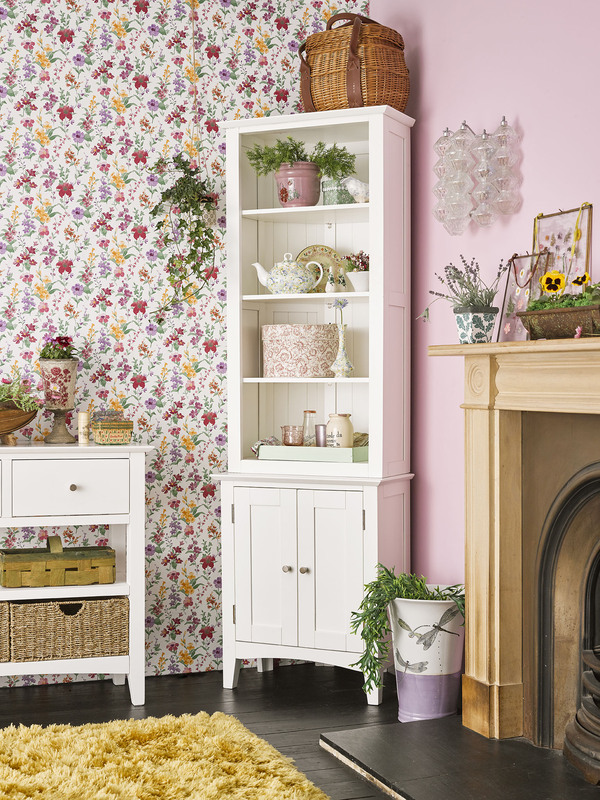 We love how these hues complement the putty coloured finish and lavender undertones of pieces from our popular Kemble range. We adore the beautiful pastel and pattern combination in Alice’s, @thewilcoxhome bedroom. The dainty cream of the rounded mirror and peacock-feather wallpaper leaves a tremendously stylish backdrop for which to accessorise. Alice has perfected this with a small colour palette, accentuating her bed sheets with complimentary greens and pinks while her bedside flower bouquet adds an air of freshness. 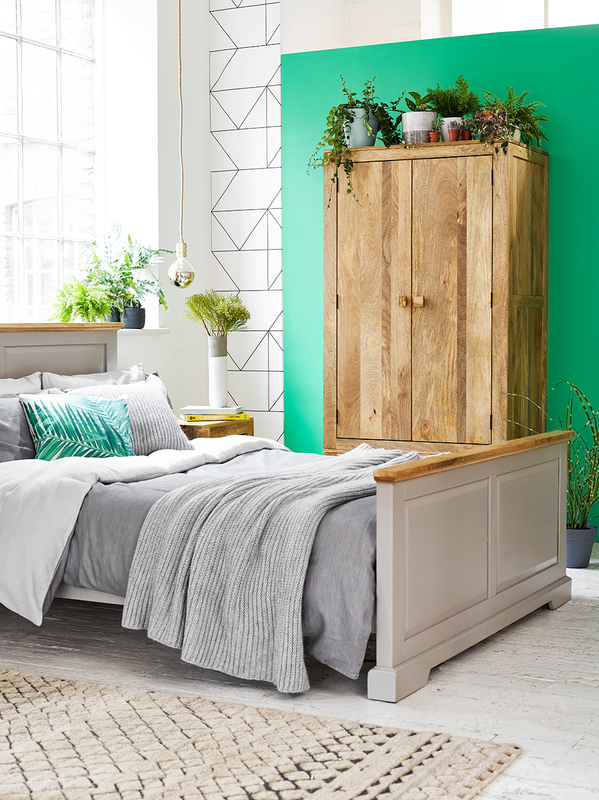 These light colours allow our versatile Alto Double Bed to be the impressive centrepiece of the room. 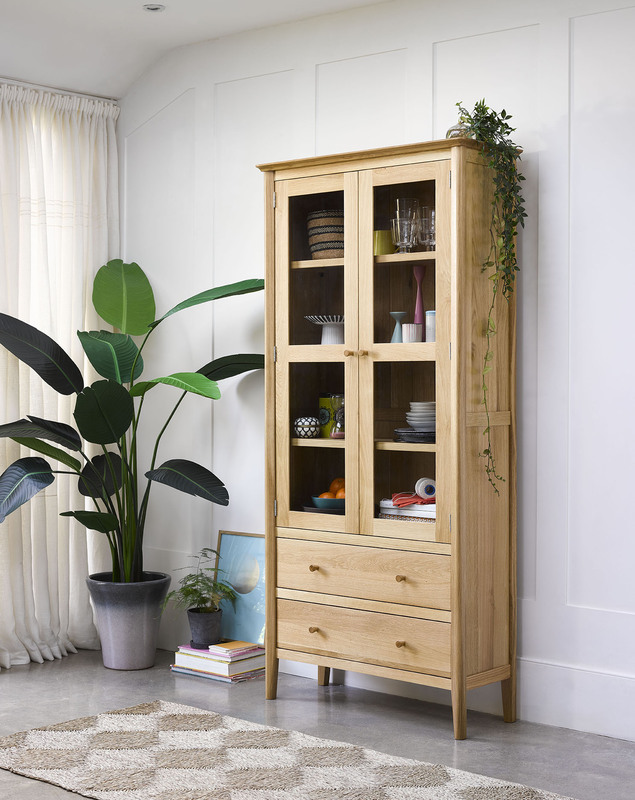 How would you style our pieces in your home? 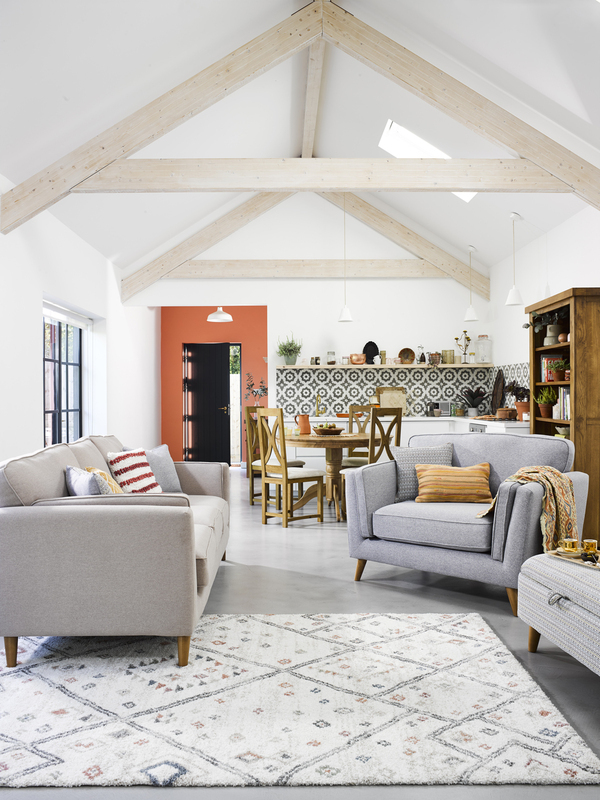 Let us know by sharing your photos using #OakFurnitureland on Instagram and Twitter to be featured in our next As Styled By You series.